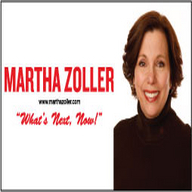 Martha Zoller is a force in the talk radio world today. After graduating in 1979 from The University of Georgia with a degree in Journalism from the prestigious Grady School of Journalism, she worked in the corporate world and met a payroll. She is a wife, mother and a stepmother. She’s stayed at home and juggled children and working priorities. Martha Zoller knows there is no glass ceiling and women can have it all, just not at the same time. In 2005, Martha added defense expert to repertoire of talents by completing the Department of Defense’s oldest civilian training program, JCOC, Martha visited with members of all the branches of the service, saw what they can do on their bases around the country and was briefed by Sec. of Defense Donald Rumsfeld and Chairman of the Joint Chiefs of Staff General Richard Myers. In July 2005, Martha was part of the one of the first trips by radio talk show hosts to Kuwait and Iraq which included live broadcasts from Iraq. We were briefed by General John Custer of the United States Army and General Abdul Qader Jassim of the Iraqi Army as well as interviews with scores of men and women in uniform. It was a life changing experience. Martha returned to Iraq in January 2007 and took a Gold Star Father back to thank the troops. She is also involved in many projects directly relating to support of the troops and participates in Freedom Alliance events and fundraising around the country..
Martha Zoller doesn’t just analyze the news, she goes where the news is happening and comes to her own conclusions.  There’s no “rip and read” on The Martha Zoller Show. Martha Zoller lives in Gainesville, Georgia with her husband and they have 4 children. She’s a member of Gainesville First United Methodist Church where she regularly and teaches adult and children’s Sunday school. She serves on the Board of the Beulah Rucker Museum and Educational Foundation, has served on the Friends of Recovery Board. She’s been named the Business Woman of the Year by the ABWA and is a Rotarian. In July, 2008, Martha joined the University of Georgia Alumni Board.